We have extensively researched the top anti-aging products on the market, and have focused on the top products that we felt were most effective. We started our research by choosing ingredients that are known and proven by major researchers to reduce wrinkles and restore skin vitality. We researched many studies that were performed using specific ingredients. Then we selected these ingredients and found manufacturers who used these ingredients to formulate their product lines. We also researched the percentage of the ingredients used, as well as the system of delivery of these ingredients to the skin. From there, we found the top anti-aging skincare products that use the ingredients that seem to be most effective, based on published research. In addition, we combined the knowledge obtained from our research studies with our experience in the operation of our own medical spas and with industry research on these products, and chose the products that have the most effectiveness. Our core mission for this website is to provide a product line that has the breakthrough products, which have been proven by research to be effective for the problem of aging skin. The products that we chose for this webstore have been formulated, tested, and used by leading physicians around the world in the treatment of skin problems. We are so confident in the products we sell on our website that we are offering a 14-day, money-back guarantee for all products that are purchased from our webstore. Since we use the latest science-based technology, and no unproven ingredients, these ingredients tend to be costly. Any product that you purchase from this website has scientifically based technology and ingredients proven by research to be helpful for anti-aging skincare. 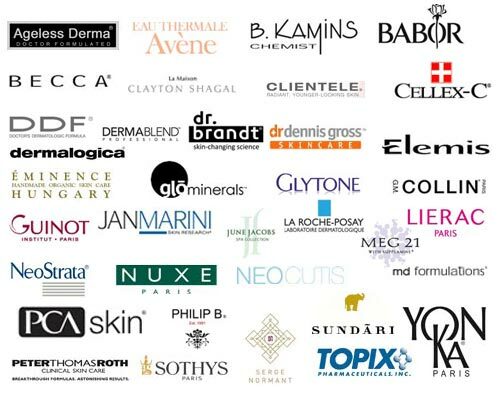 Anti-aging Skin Spa is fully focused on bringing cutting edge, anti-aging innovation to our portfolio of premium skincare products that deliver on their promises. Our ageless skincare products utilize the latest developments and pharmaceutical skincare technology, and offer credible and safe alternatives to invasive, costly, and sometimes harmful cosmetic procedures.